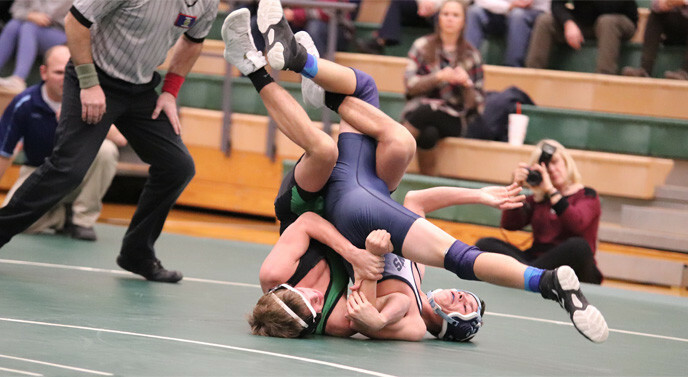 Coach Langerot has been pleased with the performance of Mulvane Wrestling after the holiday break as the team has two 2nd place finishes at invitationals and the Wildcats bested Clearwater during senior night last Thursday. Langerot also recorded his 350th win after the win over Clearwater. 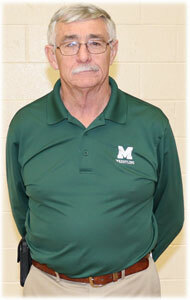 Coach Langerot has been the head coach of Wrestling since 1989 when Mulvane first started its wrestling program. Mulvane celebrated senior night on Thursday January 10th where they recognized the senior wrestlers and cheerleaders with their parents. The senior wrestlers this year are Cody Floyd, Zach Iverson, James Reames, Zane Schlick, and Kyle Smith. Erin McElravy is the only Senior Cheerleader this season and Talure Bird is the only Senior manager. The Wildcats came from a 21-27 deficit and won the last 4 matches to beat Clearwater 39-27. Hunter Dietrich, Chadwick Stahl, Trent Moses, Jace Moberg, Jon Meek, Jaxon Young, Bryson Williams, and Kyle Smith all defeated their opponent from Clearwater. The Wildcats traveled to the Clearwater Invitational this past Saturday and came home with a 2nd place finish just behind Pratt High School. Chadwick Stahl, Trent Moses, and Kyle Smith all brought home the gold with 1st place finishes in their bracket. Jaxen Young grabbed a 2nd place finish in his bracket. Ethan McElravy grabbed 3rd place in his bracket. Hunter Dietrich, Jace Moberg, Koen Schanz, and Bryson Williams all finished in 4th place in their brackets. The Cats brought home another 2nd place finish from the Herington Invitational on Saturday January 5th just behind Abilene High School. Chadwick Stahl and Kyle Smith both finished 1st place in their brackets. Trent Moses brought home the silver with a 2nd place finish. Zane Schlick and Jaxon Young finished 3rd place in their brackets. Hunter Dietrich and Ethan McElravy both finished 4th place in their brackets. Chadwick Stahl and Kyle Smith are currently leading the Wildcats with records of 19-1 and 21-3 respectively. The Wildcats will travel to Douglass this coming Thursday January 17th for the Douglass invitational. 2019 mulvanesports.com All rights reserved.